Marketing can often be one of the last priorities on your list of things to do, but if you get it right, it can have a big impact on your business success. That’s why we’re excited to be partnering with Boma. Boma is a game-changing app that takes the time and the guesswork out of digital marketing. So as a Xero partner, you can now engage effectively with new and existing clients and deliver professional, impactful campaigns. A campaign builder within the app guides you through a simple process to create and send digital campaigns in minutes. All you need to do is choose your message and go. The apps ‘self-drive’ approach will help you identify who you should be talking to, what message you should be sharing and how you should share it. And if you don’t know your tweets from your ‘grams, it will explain how and when to use the different social media channels. Importantly, ‘simple to use’ doesn’t mean the functionality is compromised. Quite the opposite. Boma’s app is designed to help practices with any type of marketing skill, from those who aren’t familiar with marketing at all or those who are well-versed. The well-advanced tools and analytics will take all types of marketing experience and give it a boost. And of course, Boma is fully integrated within Xero HQ – which, as always, makes things much easier for you. All the resources you need to create a professional, engaging campaigns are provided within the app, such as pre-populated Xero content templates. It even gives you access to a library of images that can be used at no cost without any licensing issues. Creating a library full of relevant and timely content can be a costly exercise – and now that is taken care of too. We asked what information and support our partners needed the most, and so the content and templates have been purpose built for your practice. There’s also plenty of flexibility to customise the template so you can personalise messages for your business and clients. So whether you’re new to marketing or wanting to take it to the next level, you’ll find a solution that’s right for you. Worried about how to put it all together? Design has been taken care of – adding yet another layer of professionalism. For example, images are automatically reformatted to suit the channel, preventing awkward resizing issues when a campaign is delivered across multiple social platforms (something the uninitiated amongst us may never even have thought of). See exactly how your campaign is tracking with data insights through an in-built performance dashboard. The more you understand what your clients like and how they interact with your practice, the better placed you are to deliver the right information on the right channel at the right time. The more you know, the better the service you’re ultimately able to provide for your clients. And that, is the secret to great marketing. Xero partners can get up and running quickly within Boma’s app settings. 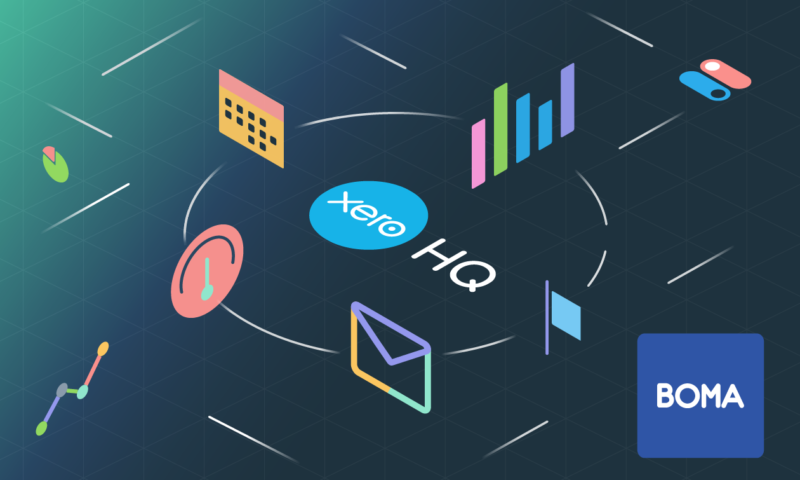 Just select ‘Connect to Xero HQ’ and follow a few simple steps. Once connected, you can sync Boma to your Xero HQ client list, which eliminates the need to update client data manually. Got any feedback? We’d love to hear your comments below. The post Boma + Xero: Taking the mystery out of marketing appeared first on Xero Blog.